Is nothing safe? Woo is now involving wine! Today I tried to summon a sandworm. I know full well they are a fictional creature, but sometimes you come across something that affects you in a way that you just cannot help but to create a rhythmic thumping sound similar to that used in their summoning. I’m sure you too have experienced such things. One moment you’re innocently browsing the internet, reading the paper or watching TV. The next moment there is an emanating thump, thump, thump, thump, as your forehead repeatedly hits the palm of your hand or the desk in front of you. Today’s summoning comes from a story on BoingBoing about an apparently new trend taking rise mostly in England, Germany and America. The story is about a method of farming called “biodynamics”. The methods read word for word as though from occult, magical, and mystic traditions although the purveyors of it do not advertise it that way. They tend more to claim it as a method of organic farming, free of modern “harsh” chemicals and sprays. Before reading further, I would like to request you ensure you are seated and have a collection of cushions ready. Please place one either in the palm of your hand, or on the table in front of you. It was all started by one Rudolf Steiner in 1924 who claims to have come upon this after communicating telepathically with spirits. Please add another cushion. The two most popular are to place either fermented cow manure in a horn, or ground oak bark in a cow’s fresh skull. 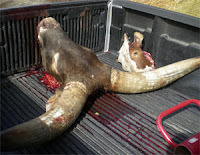 This horn or skull is then buried in a shallow moist hole in a field for two seasons upon which time it is extracted and the contents applied in nearly undetectable quantities (akin to homeopathy) throughout the field. It doesn’t stop there. Biodynamics extends beyond the farm too. Please add another cushion. The two wine producers responsible for almost one third of the wine sold in the U.K. have started using biodynamics in their wine tasting too. You see, it’s not just about the growing of the plants, there’s also the consumption to consider. The consumption times are based upon a combination of moon cycles and astrologyy to seperate the days and hours out in to periods known as fruit, flower, leaf and root, the former two being the best for tasting and the latter the worst. How one figures out which period is which is a tightly held concept, but of course they are more than happy to let you know what times are good and bad … by selling you an overpriced calendar containing this information. 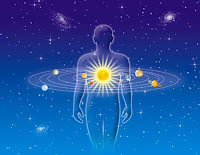 So, biodynamics can be summed up as a combination of druidic, wiccan, magic and occult practices, ghosts and other-worldly beings, homeopathy and finally astrology. I bet these people claim to be christian too. Those of you who didn’t add enough cushions throughout reading this most likely also have wormsign. As an aside, I’ve heard many people speculate that thanks to modern medicine, human evolution has all but come to an end. Sometimes though when I look at all the woo and people purposefully and willingly choosing the options which have zero supporting evidence and deriding the options that have mountains of supporting evidence … I start to wonder if this increase in willing ignorance is actually a new evolutionary change to once again bring back the possibility of survival of the fittest.